East Baton Rouge Parish has a number of ways to grant access to the vital records of the parish and has a dedicated Vital Records Department where birth and death records, along with paternity information and marrige records, along with other records, can be requested. The Vital Records Customer Service Hotline is (504) 593-5100, and the main customer service email address is _dhh-vitalweb@la.gov . They also have a Vital Records Inquiry Form to submit questions and requests. The Clerk of Court also provides certified copies of documents via the Records Department, each with different fees and requirements. 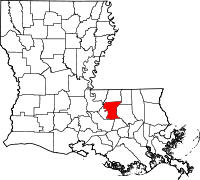 The Clerk of Court has a number of offices, all of which are located in Baton Rouge, LA. The main office is at 222 St. Louis Street, and additional offices are located at 300 North Blvd., and 444 St. Louis Street. The main Records Department phone number is (225) 389-3985. Note: Has a satellite office at 10500 Coursey Blvd.